Hong Kong (December 9, 2018) – PVR Cinemas, one of the largest and most premium film exhibition companies in India, today inked a long-term alliance with Cinionic, the Barco cinema joint venture. Elevating the cinematic experience in India, 150 screens at both new and existing PVR properties will be outfitted with Barco’s 2K, 4K and Flagship Laser projection within 12 to 18 months. The announcement was made at the CineAsia trade show being held at Hong Kong Convention & Exhibition Centre from December 10 to 13, 2018. Since its inception in 1997, PVR has redefined the cinema industry and the way people watch movies in India. From its compact cinemas in smaller towns to Gold Class and Director’s Cut deluxe cinema-plus auditoriums, PVR enchants guests seeking a high-quality movie experience with a diverse cinema offering. The exhibitor recently added P[XL] ? premium, extra-large screen format powered by India’s first Barco Flagship Laser projector ? to amaze fans with the richest and most immersive movie presentations. Cinionic provides the perfect projector for every cinema screen, thanks to the industry’s largest portfolio which counts 24 cinema projectors, 18 laser and 6 lamp projectors. This enables exhibitors to ideally match their projector fleet to a variety of theaters. The Barco family includes a wide array of models, from Flagship Laser projectors ideally suited for premium format screens to efficient Smart Laser projectors and laser-as-a-service solutions, in a wide range of lumens to facilitate outfitting an entire multiplex. “India has always been a cinema-centric country, where moviegoers can enjoy an exceptional night out in PVR’s premium theaters. 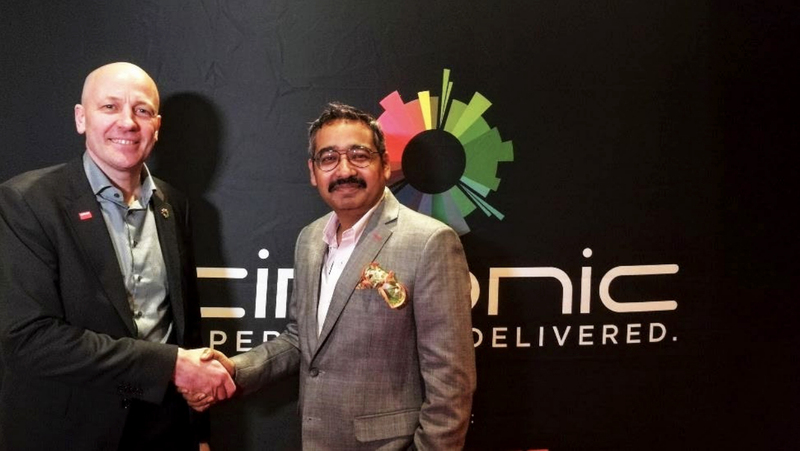 We are thrilled to forge this strategic partnership with PVR and together deliver the best movie experiences to the audience.” comments Wim Buyens, CEO of Cinionic. PVR is the largest and the most premium film exhibition company in India. Since its inception in 1997, the brand has redefined the way entertainment is consumed in the country. PVR currently operates a cinema circuit comprising of 741 screens at 159 properties in 63 cities (21 states & UTs), serving 100 million patrons annually. While the total screen tally of the company stands at 741; PVR offers an array of formats with premium screen category, which stands at 4 screens of Director’s Cut, 31 screens of Gold Class, 08 of IMAX, 11 of 4DX, 06 of P[XL], 06 of Playhouse and 01 of PVR Onyx across the country. For further information, please visit: http://www.pvrcinemas.com/corporate/about-us.aspx. Cinionic is transforming cinema, providing comprehensive WOW entertainment solutions to movie exhibitors across the globe. We help turn imagination into reality and ensure peace of mind for our customers by offering innovative services and flexible use of capital for a new era. Combining the technology expertise and heritage of our partners, Cinionic powers exceptional experiences across the entire theater to engage visitors at multiple touchpoints in their cinema journey. Cinionic is a joint venture among Barco, Appotronics, and CFG, with offices in the United States, Belgium, Hong Kong and Mexico. Visit www.cinionic.com and follow us on Twitter, LinkedIn, Facebook or YouTube for more info. Barco designs technology to enable bright outcomes around the world. Seeing beyond the image, we develop visualization and collaboration solutions to help you work together, share insights, and wow audiences. Our focus is on three core markets: Enterprise (from meeting and control rooms to corporate spaces), Healthcare (from the radiology department to the operating room), and Entertainment (from movie theaters to live events and attractions). In 2017, we realized sales of 1.085 billion euro. We have a team of 3,600 employees, located in 90 countries, whose passion for technology is captured in 400 granted patents. For more information, visit us on www.barco.com, follow us on Twitter, LinkedIn, YouTube or like us on Facebook.